A couple weeks ago, we were fortunate enough to spend a few hours out with Saragh, our local Jameson whiskey rep, and got a chance to try some of their offerings we weren’t familiar with, like the Gold Reserve and the newer Black Barrel. They were very tasty, and served as a good reminder that, much like tequila, we often forget to consider Irish whiskey when we are mixing. 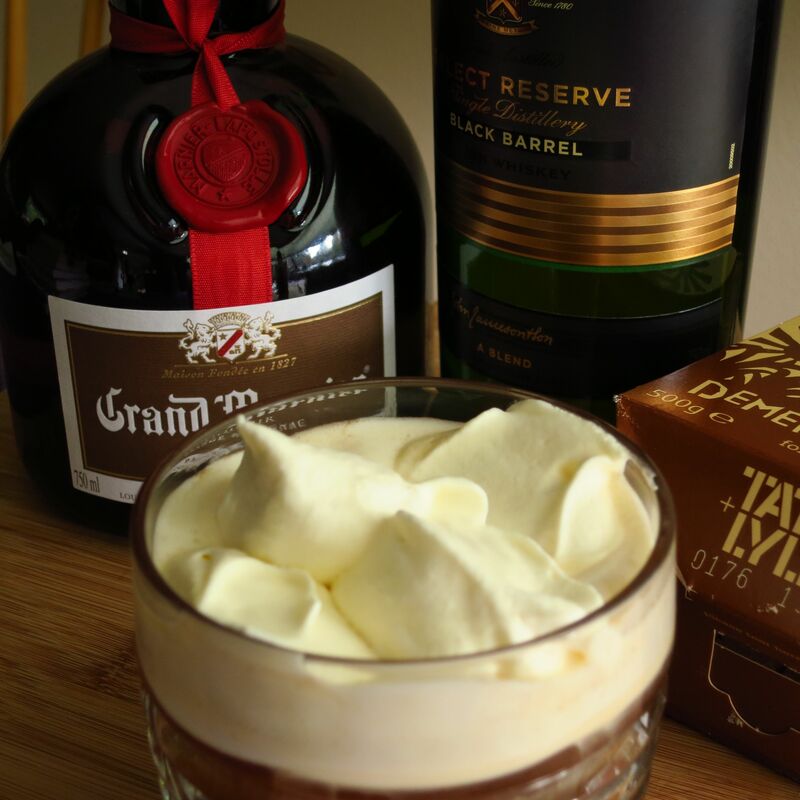 We will have to remedy that in some future posts 🙂 In any case, with Irish whiskey on our minds and the impending arrival of St.Patrick’s Day, we thought we would try a few twists on classic Irish Coffee this week. First, we selected our coffee, a nice dark brew of Caffe Ladro Diablo, and our whiskey, the Jameson Black Barrel, for a rich and delicious base. Then we tried the coffee and whiskey together with a range of liqueurs, finally settling on a combination of Grand Marnier and demerara sugar for one variation, and the Amaro Montenegro and Barenjager for the other. Mix all ingredients, top with unsweetened whipped cream. Palate: Creamy orange, coffee, and vanilla barrel notes to start. Orange, grape brandy and whiskey on the mid-palate. Orange again on the finish, more like orange peel now. The Grand Marnier becomes more pronounced as the drink cools off. Palate: Cream, coffee, and toasted grain to start. Maple and hazelnut on the mid-palate. More bitter coffee with some herbal notes on the finish. Either of these variations (or the classic: skip the liqueurs and add a little brown sugar) make great after-dinner drinks or welcome additions to brunch. The base recipe is easy to extrapolate on, so you can also try your own flavor combinations to come up with the one that you like best. 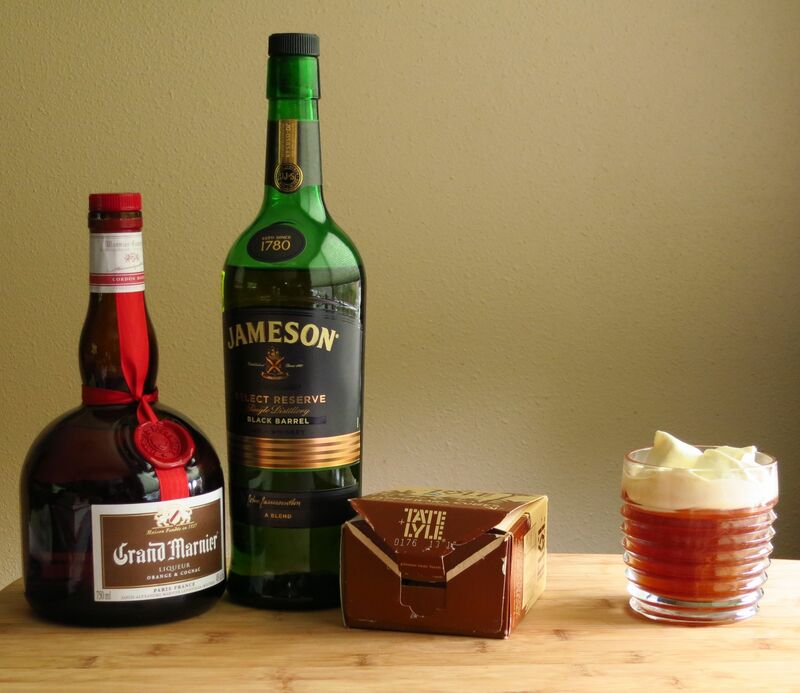 This entry was posted in amaro, barenjager, coffee, cream, grand mariner, irish whiskey and tagged amaro montenegro, barenjager, jameson black barrel, stpats14. Bookmark the permalink.